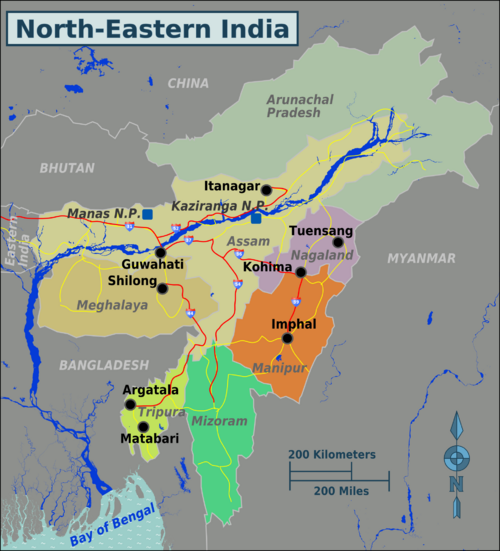 New Delhi, Mar 2 : A Northeast Studies Programme (NEISP) has been approved by the council of the department of sociology, Delhi School of Economics, University of Delhi. The proposal for a full-fledged course is yet to be placed before DU's academic council but an initial project - a "think tank" bringing together academics, administrators and police - will be launched on March 12. "Since 2011, I have been conducting surveys on certain key issues in Delhi," Kamei Aphun of department of sociology said. "Some of these are that the academic curriculum doesn't talk about the northeast, inefficiency and ineffectiveness of the law and order apparatus in the face of discrimination and hate, improper guidelines and policies of the government and the role of the media. Then I figured out that it is best to bring all the representatives on one forum." NEISP will first exist as a "think tank" featuring academics from JNU, JMI, North Eastern Hill University (NEHU), Tata Institute of Social Sciences (Guwahati), media professionals, Delhi Police and representatives from the DONER (Development of North Eastern Region) ministry and NEC (North Eastern Council). "I have prepared a vision statement with seven points," Aphun said. "These include "northeast India today", "state, ethnicity and tribes", "dams, movements and violence", "education, church and civil society", "insurgency, counter-insurgency and gun-culture", "social problems such as youth unrest, drug addiction, HIV/AIDS, alcoholism and development", "environment, culture and polity" and "government policies/programmes and problems of implementation".